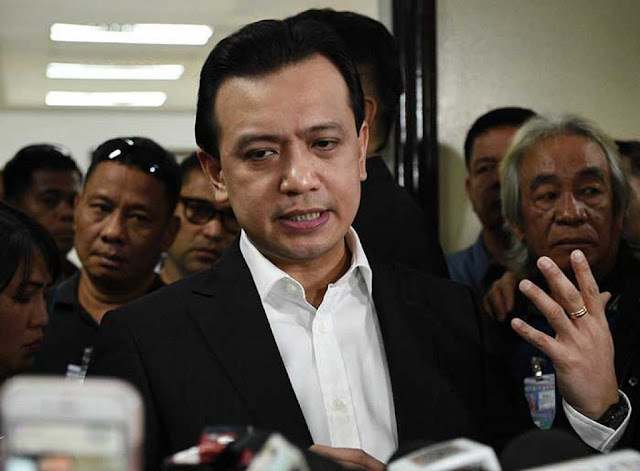 As of today, Sen. Antonio Trillanes opted to spend his day in the Senate after Senate President Tito Sotto placed the senator under Senate's custody to avoid arrest. "I'm merely upholding the rules of the Senate eh. So palagay ko naman, makikikita naman, nakikita naman both sides 'yon," Sotto said. Netizen Patrice D Ilagan, a former COMELEC official stated that Trillanes should be arrested even though he's inside the Senate building. Ilagan's opinion was shared through Atty. Rodolfo V. Cabado Facebook page. "If we could recall, Senator Juan Ponce Enrile was arrested inside the senate building on February 28, 1990 under the administration of Corazon Aquino," Ilagan said. "He also took refuge inside the office of then Senate President Jovito Salonga but he was arrested by the NBI led by then NBI Director Alfredo Lim," she added. Why can’t the arresting officers arrest Antonio Trillanes inside the Senate building? 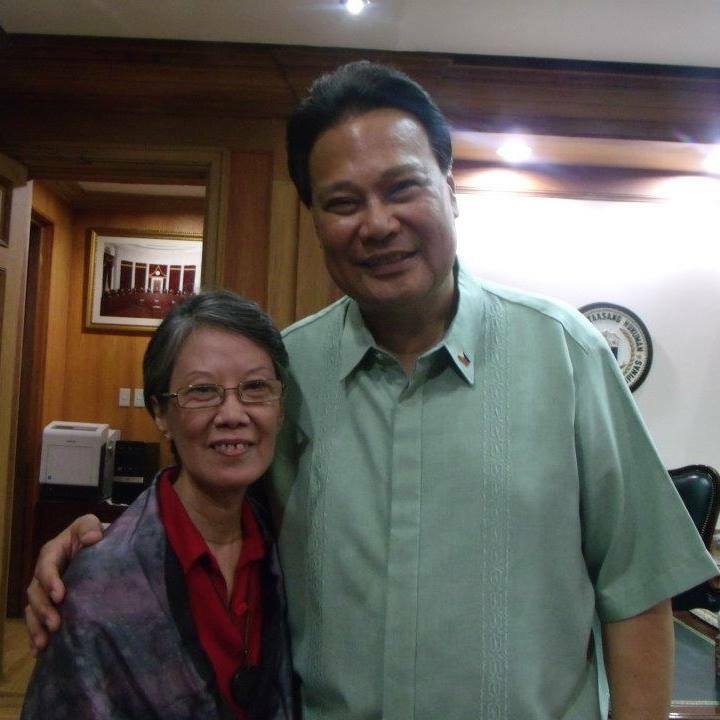 He took refuge inside the senate and Senate President Tito Sotto took custody of him. If we could recall, Senator Juan Ponce Enrile was arrested inside the senate building on February 28, 1990 under the administration of Corazon Aquino. He also took refuge inside the office of then Senate President Jovito Salonga but he was arrested by the NBI led by then NBI Director Alfredo Lim. KUNG SI SENATOR JUAN PONCE ENRILE AY INARESTO SA LOOB NG SENADO, BAKIT HINDI PWEDENG GAWIN KAY ANTONIO TRILLANES???? Below is a news article of the arrest of Senator Juan Ponce Enrile in 1990 inside the senate building. Enrile Arrested in December Coup Bid : Philippines: The senator is a political foe of Aquino. He is viewed as a mentor of mutinous young soldiers. MANILA — President Corazon Aquino's government arrested Sen. Juan Ponce Enrile, a key opposition leader, inside the Philippine Senate late Tuesday on a charge of rebellion and murder stemming from the December coup attempt that nearly toppled Aquino's government. Enrile, a co-leader of the 1986 military revolt that helped catapult Aquino to power, was charged with causing the death of a boy killed by a rebel plane on the first day of the bloody Dec. 1-9 military uprising. The surprise arrest of Aquino's lone Senate opponent and harshest public critic is likely to increase political pressure on her struggling four-year-old administration, which faces almost daily threats of a seventh coup attempt. Enrile, 66, a flamboyant political leader and former defense secretary under both Aquino and the late President Ferdinand E. Marcos, is seen as a mentor to many of the young soldiers responsible for the six military uprisings. Aquino has been heavily criticized in the past for not punishing coup ringleaders. Enrile, a Harvard-trained lawyer, is the most prominent figure ever to be indicted in a Philippine coup attempt. Six other civilians were also charged. Enrile was taken into custody in the Senate president's office shortly after he delivered an emotional speech on the packed Senate floor. Red-eyed and his voice choked with emotion, he shook hands and said goodby to most of his colleagues before leaving the building with Alfredo Lim, director of the National Bureau of Investigation. The two men drove away in Enrile's bulletproof van. After providing photos of himself to police, Enrile met with reporters through the night in Lim's plush air-conditioned office. Officials said it was unclear when or if he would be jailed. Enrile, who was martial-law administrator under Marcos, was implicated but never charged in a 1986 coup attempt against Aquino. He has denied any complicity in the most recent mutiny. Instead, he portrayed his arrest as a blow against freedom and democracy, warning that Aquino will have to "answer to God and history." "I really hope that history will remember that there was one soul who lit a candle of freedom," Enrile told reporters at the Senate building. "And hoped it would flicker. And that one soul is named Juan Ponce Enrile. "They are giving me a rare opportunity to bring to public attention the corruption, the oppression and the lack of justice in our lives," he said. The formal combined charge of "rebellion . . . murder and multiple frustrated murder" carries a maximum penalty of life in prison, prosecutors said. Enrile was also charged with harboring rebel leaders during the height of the coup. The December uprising left more than 113 dead and 500 wounded. Aquino and Enrile have traded bitter barbs in recent weeks in a personal and political grudge that dates back to when Enrile jailed her late husband, Benigno S. (Ninoy) Aquino Jr., for nearly eight years in the 1970s. Aquino, the longest held prisoner of Marcos' political opponents, was assassinated at Manila airport when he returned from exile in the United States on Aug. 21, 1983. Six years later, that case is still in court here. Also charged in Tuesday's filing was former army Lt. Col. Gregorio (Gringo) Honasan, a former Enrile aide who already has a $250,000 bounty on his head as a career coup plotter, and Rodolfo Aguinaldo, another former aide who was recently suspended as governor of Cagayan province for announcing over Manila radio that he was sending tanks and artillery to the capital to support the coup attempt. Others charged were retired Brig. Gen. Felix Brawner and retired Lt. Col. Billy Bibit, who the government alleges were key coup leaders. Charges were also filed against a Manila hotel owner, Rebecco Panlilio, and his wife, Erlinda. Prosecutors said they provided food for a party that Enrile threw for Honasan and 100 armed rebel troops during the first night's fighting. A 25-page court document filed with the charges alleges that Enrile also met with coup leaders at the Hotel Inter-Continental in Makati while rebel troops were occupying the swanky financial district of the capital. At a press conference, senior state prosecutor Aurelio G. Trampe said Enrile is considered a "participant" rather than a coup sponsor. "We charge conspiracy," Trampe said. "When there is a conspiracy, the act of one is the act of all. The guilt of one is the guilt of all in this conspiracy." Under that theory, Enrile is charged with murder in the death of Rolando Estrada, who died when a rebel T-28 "Tora-Tora" plane tried to bomb the government-run Channel 4 television complex in suburban Quezon City and instead hit several houses. Four other people were wounded in the blast. Justice Secretary Franklin Drillon said prosecutors recommended against granting bail, but a department spokesman said later that a judge could overrule the recommendation when Enrile is arraigned. No date was set. Aquino issued no comment, but her spokesman, Tomas Gomez, praised the prosecutors' action. "What we are witnessing today is the effective operation of our criminal justice system under a constitutional democracy," Gomez said. "Crimes have been committed, criminals have been identified, and therefore, cases have to be filed."